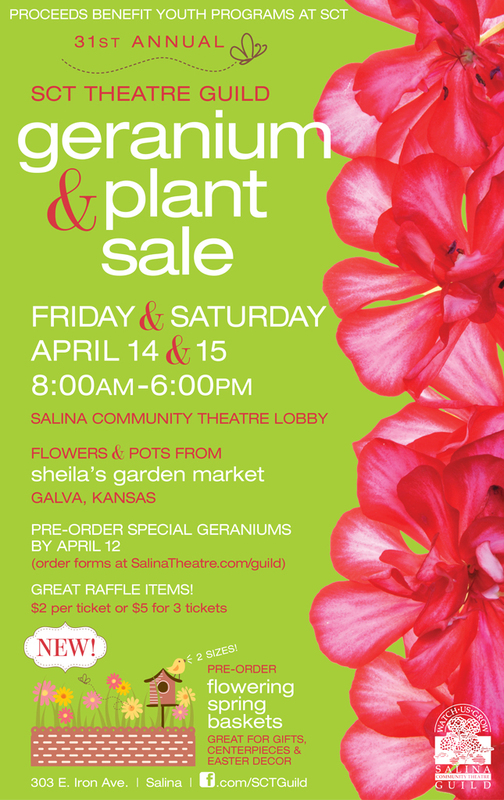 The SCT Guild’s 29th Annual Geranium & Plant Sale is scheduled for April 14 and 15 from 8:00am-6:00pm in the SCT lobby. All kinds of bedding plants, vegetables and French gardens can be purchased at the sale, as well as potting soil, hanging baskets, and planters. This year’s specials are flowering spring baskets — perfect for gifts, centerpieces, and Easter decor. This is the Guild’s main fundraising event, and proceeds go to support scholarships for CTA students majoring in college theatre programs.